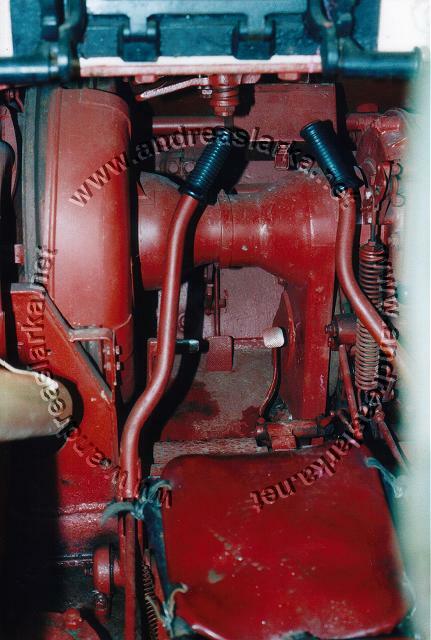 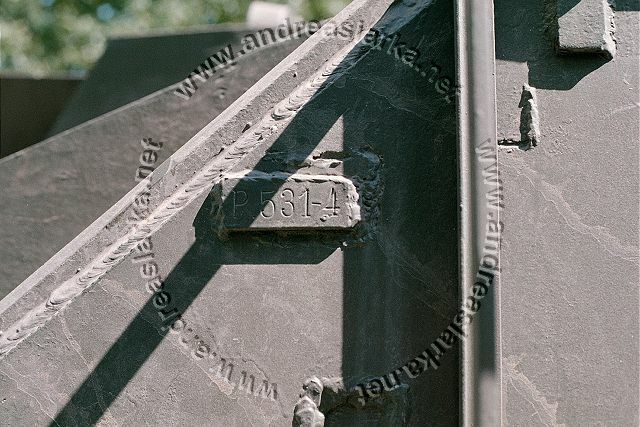 Chassis number: 95443, MIAG ~ July 1943. 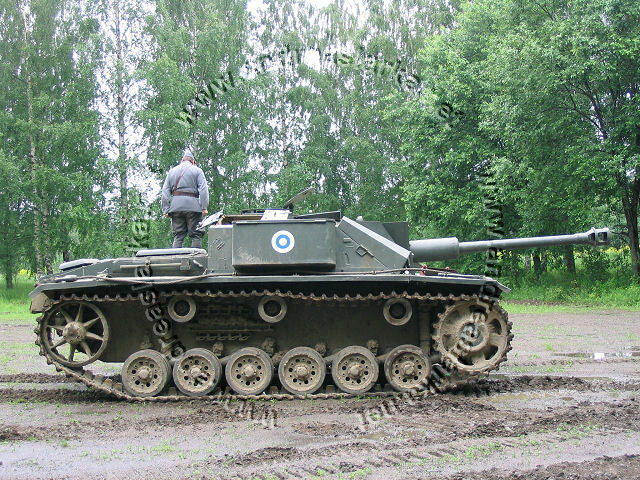 These pictures are taken in february 2009 at the "Panssarihistoriaseminaari" held in Parola, Finland. 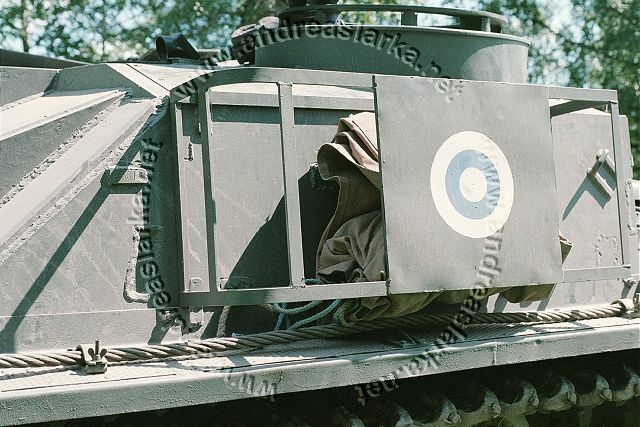 The vehicle is painted in a fairly nice colour-scheme based on wartime pictures of this very vehicle. 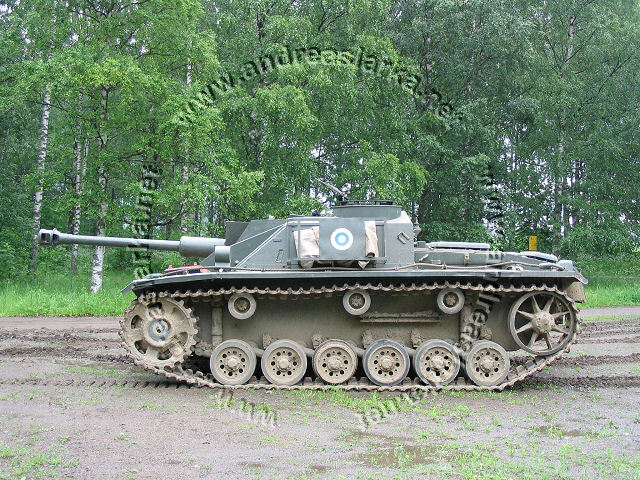 The vehicle was repainted for the filming of the "Suuri torjuntavoitto" -video. 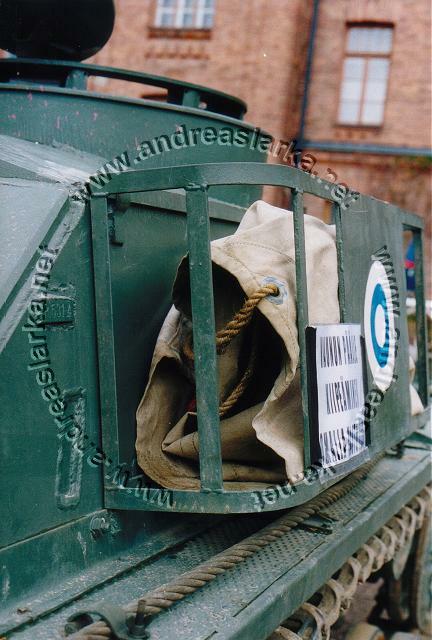 The number is of course wrong for this particular vehicle and has only been painted on for the filmings. 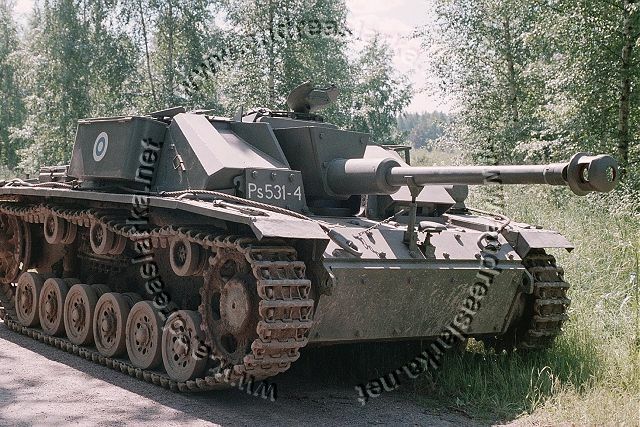 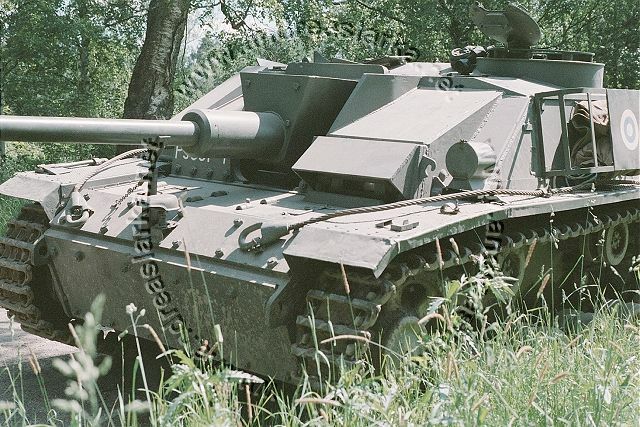 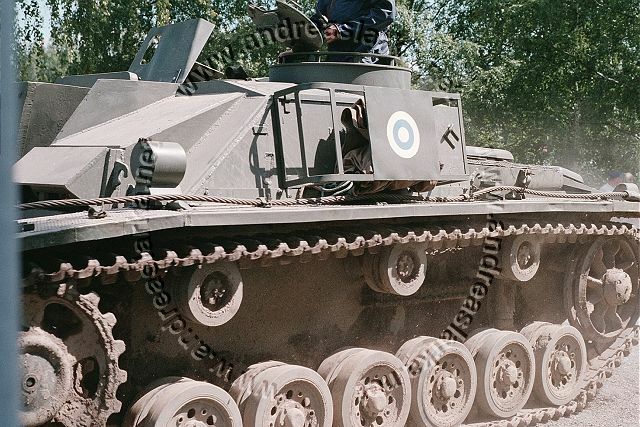 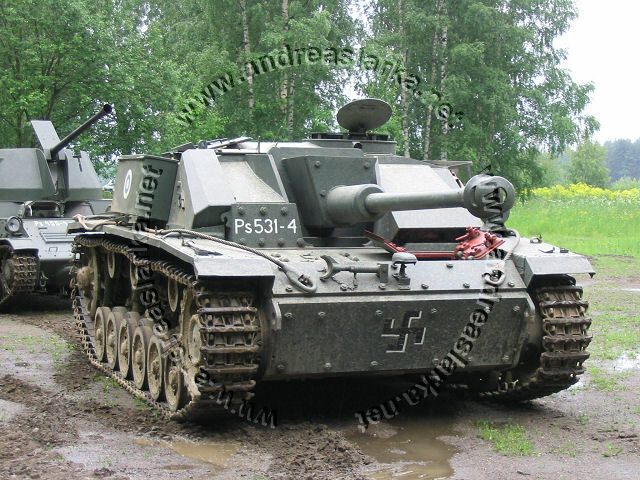 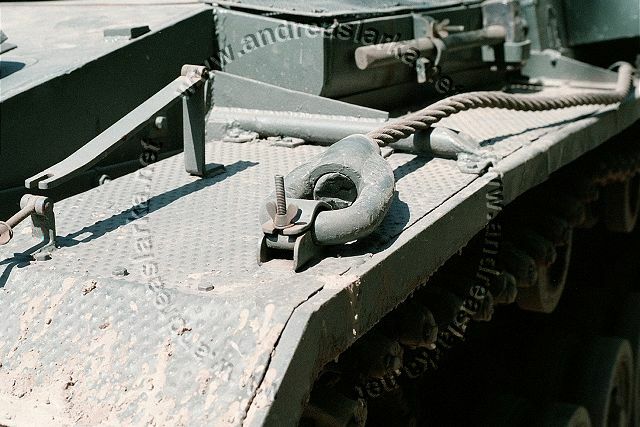 In the following - older - pictures this MIAG-manufactured StuG is in it's post-war configuration with redesigned stovage and headlights etc. 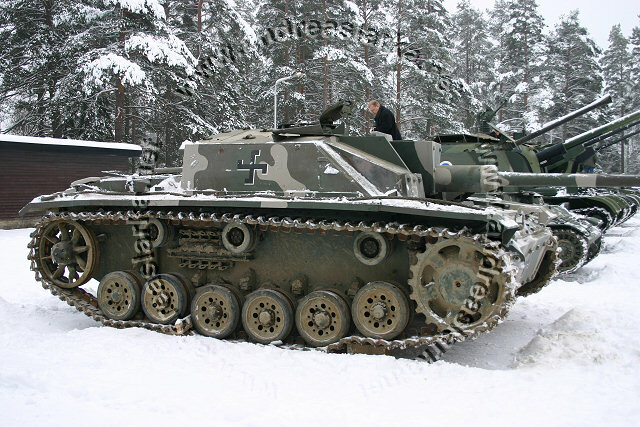 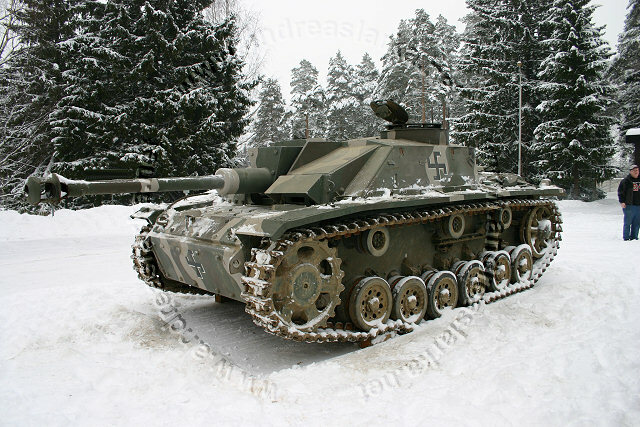 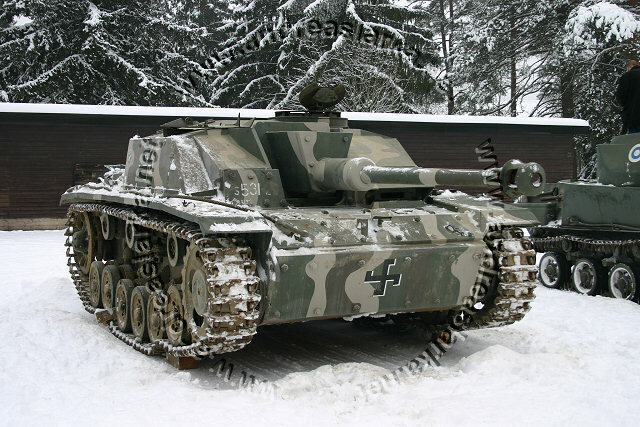 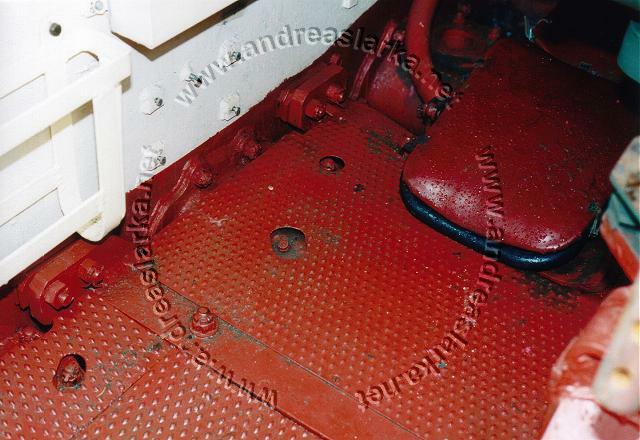 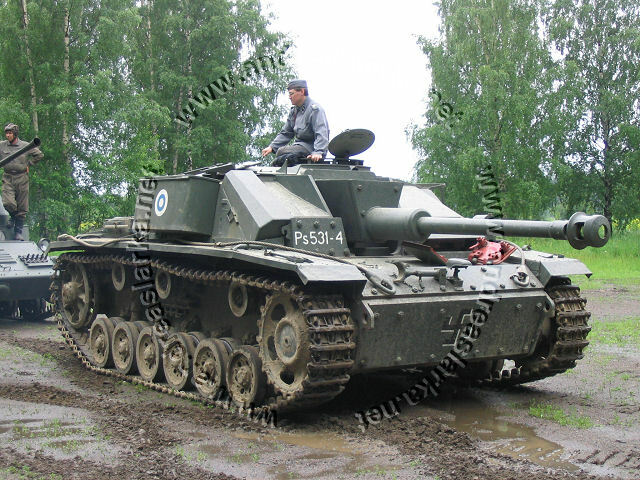 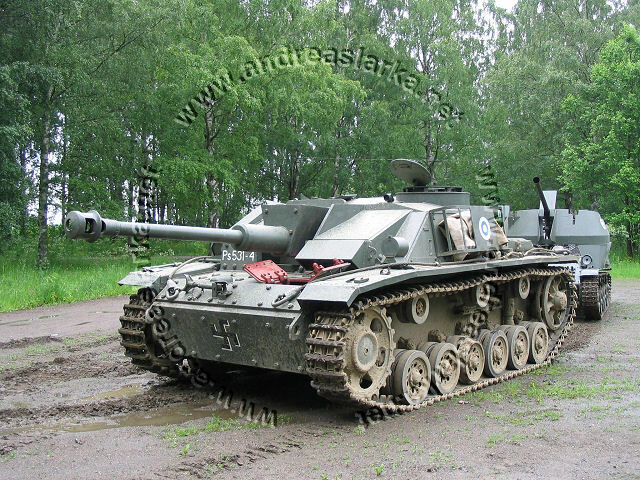 The StuG is restored and in a fully running condition. 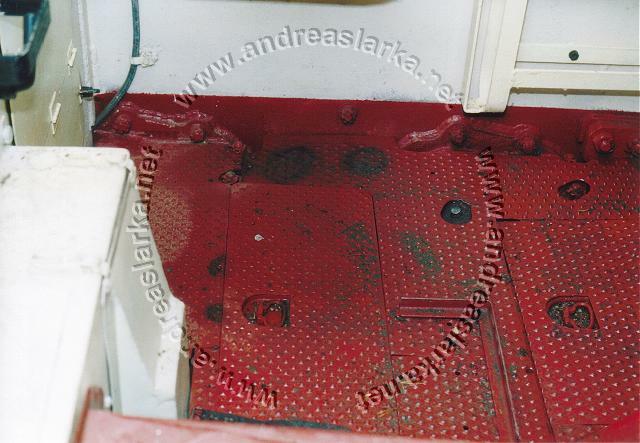 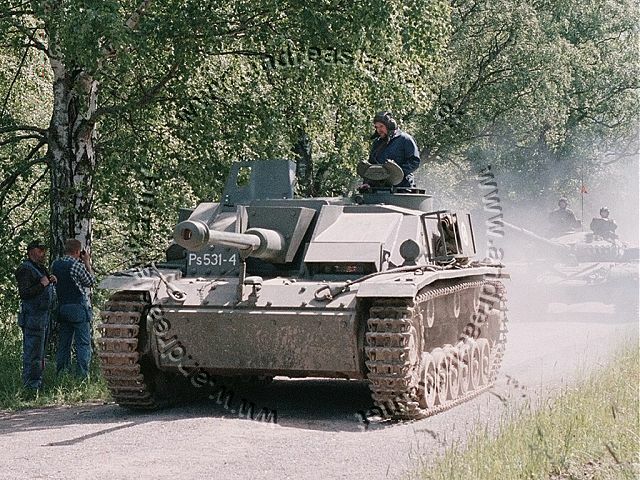 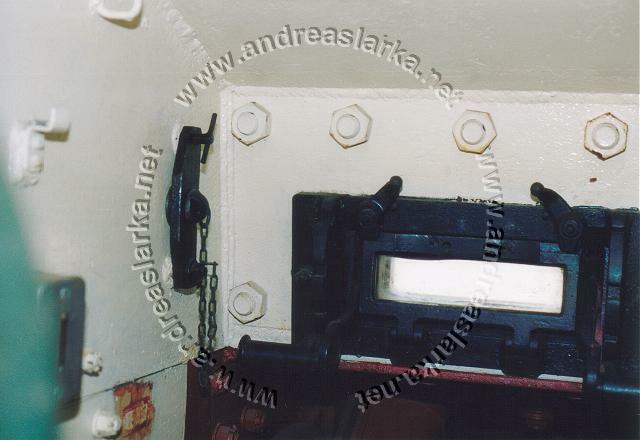 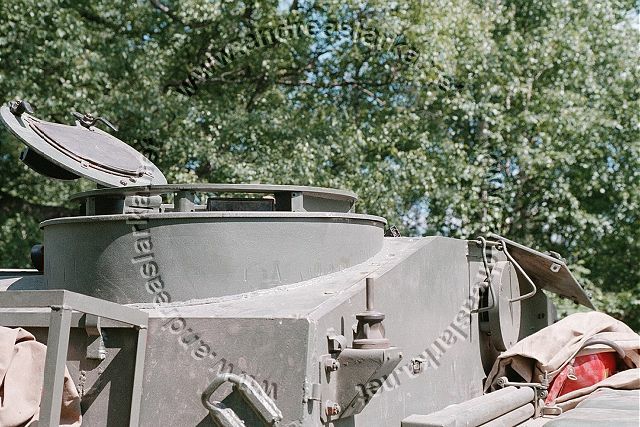 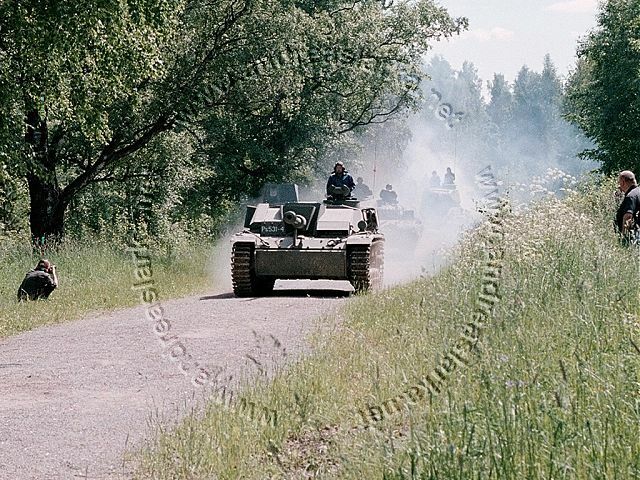 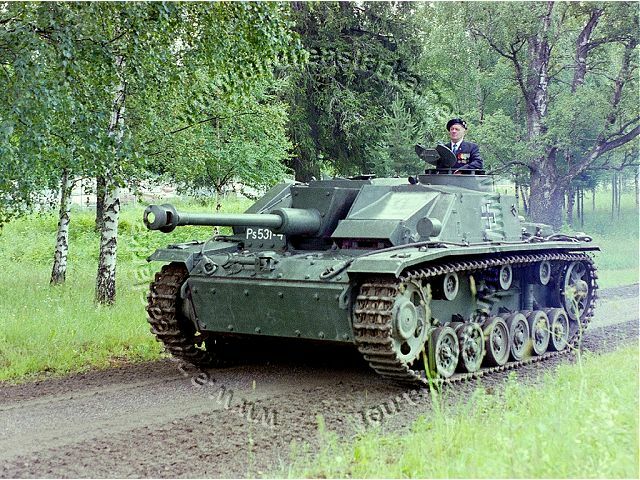 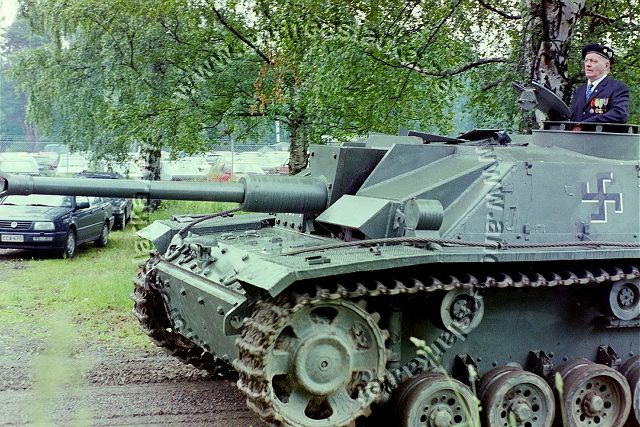 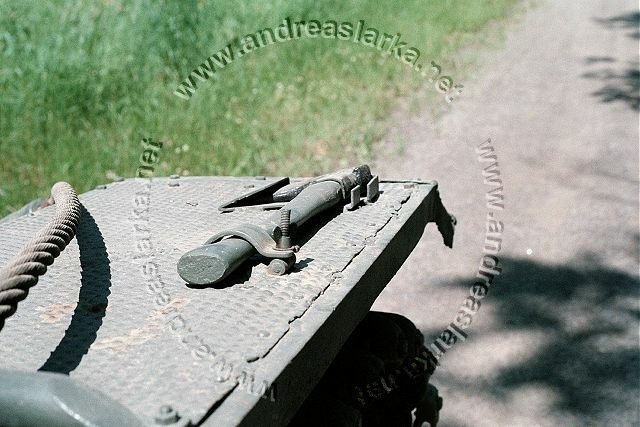 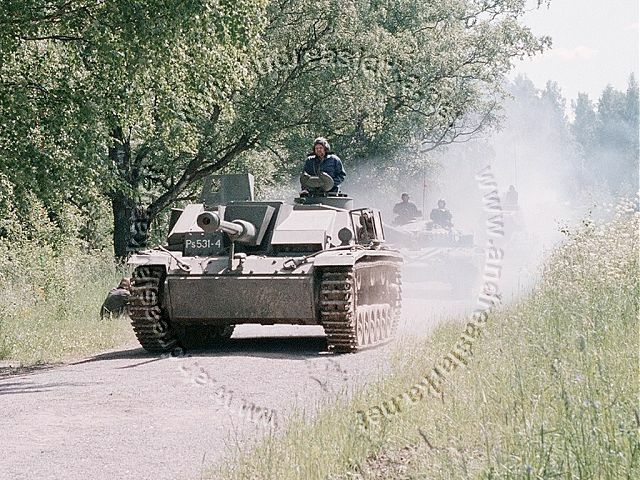 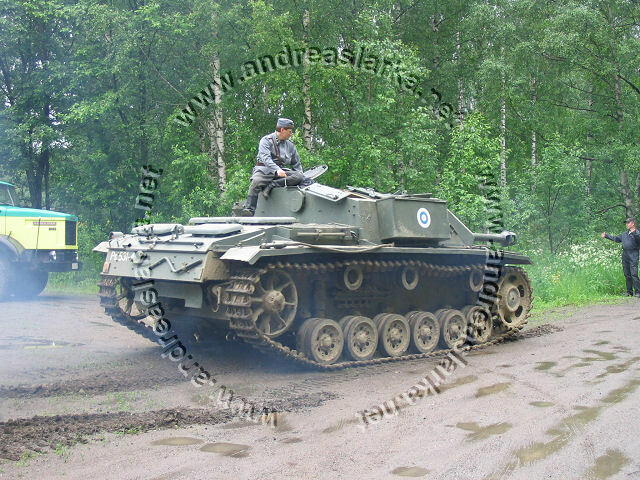 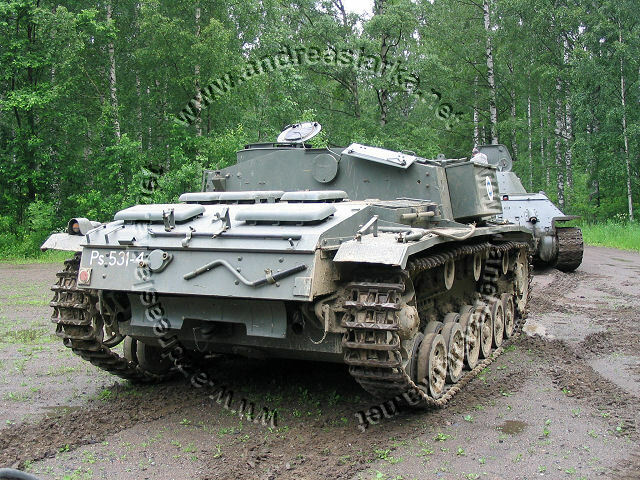 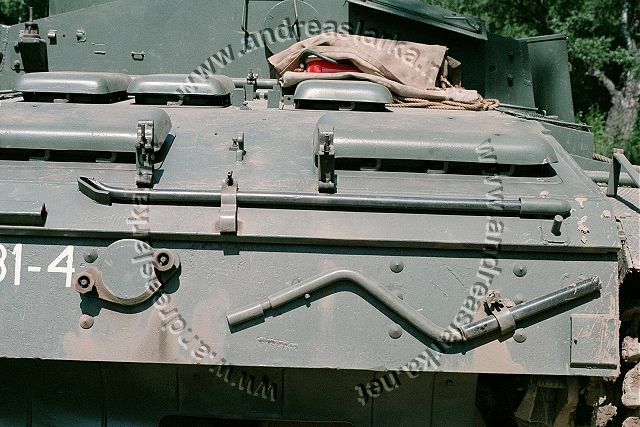 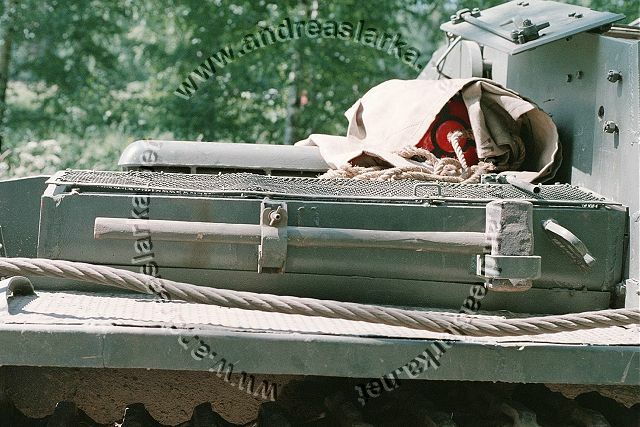 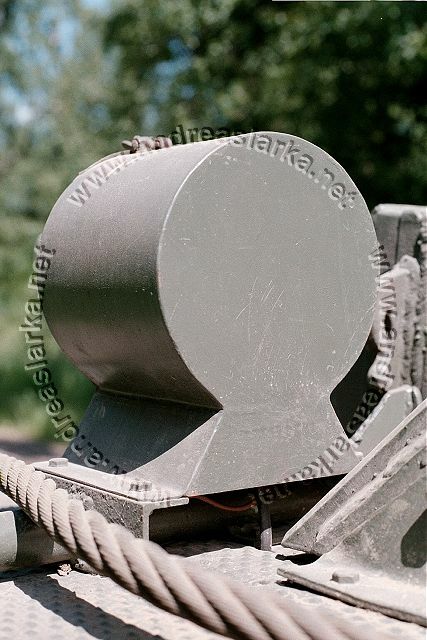 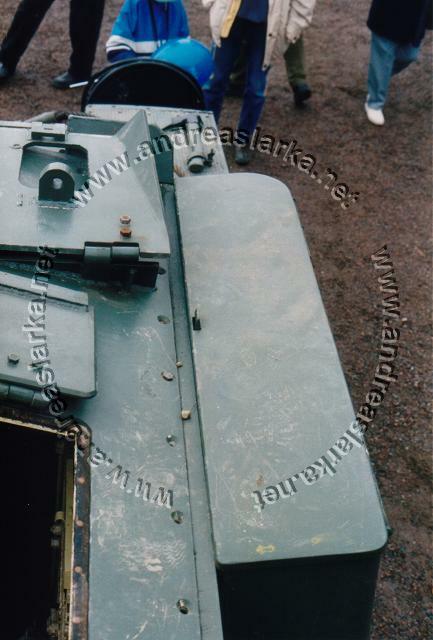 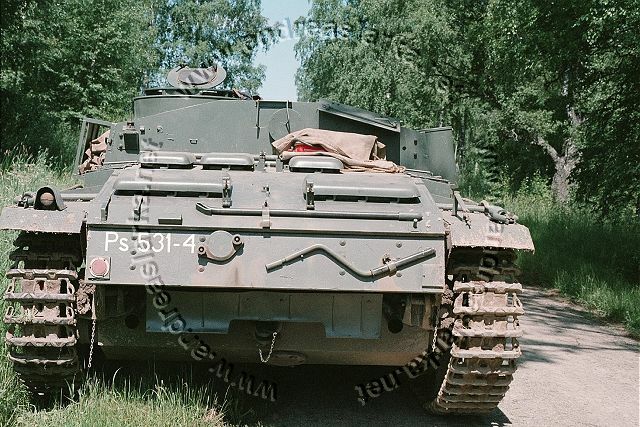 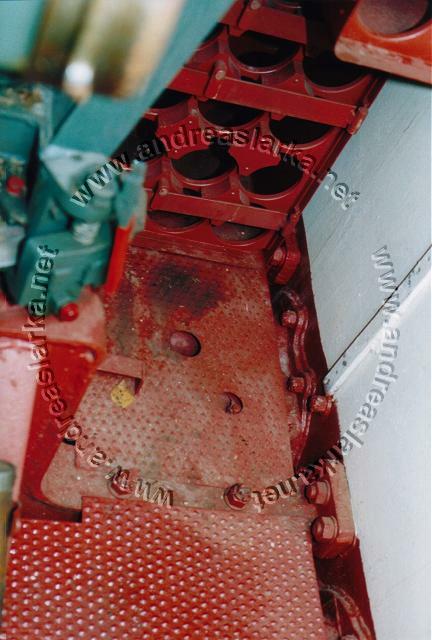 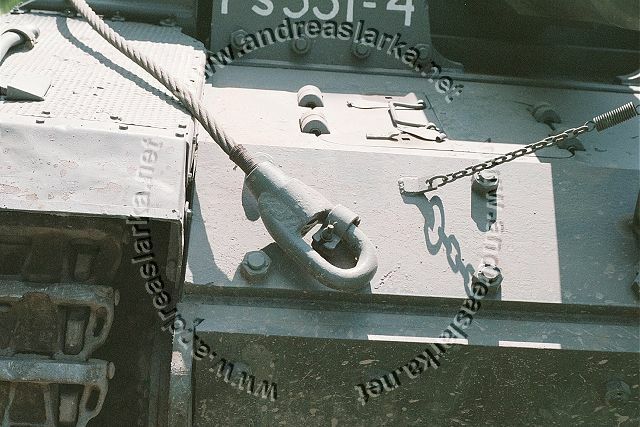 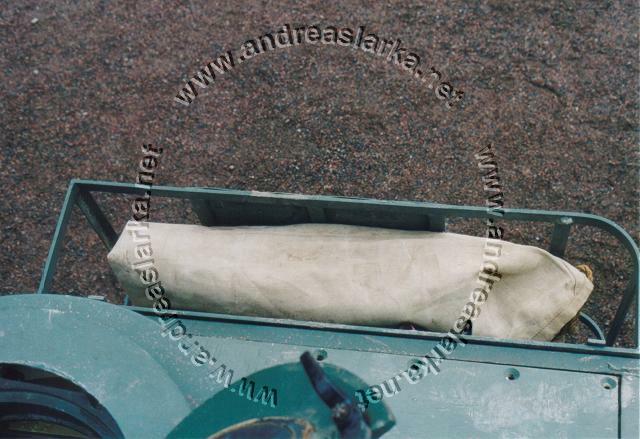 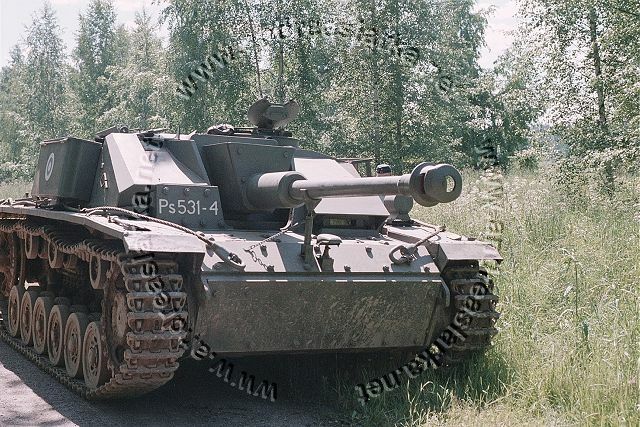 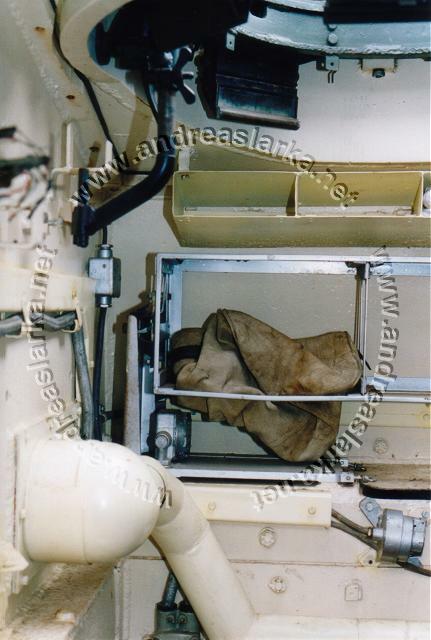 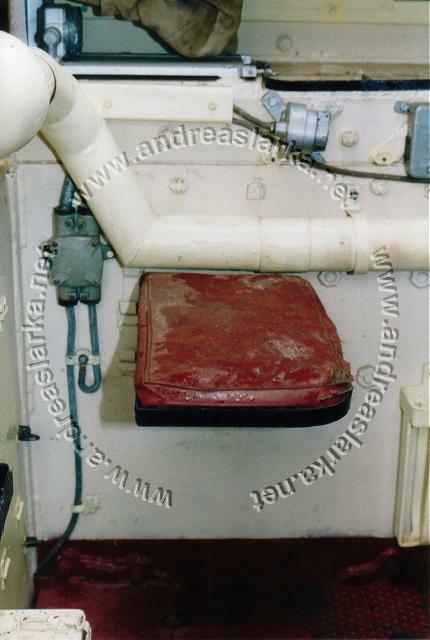 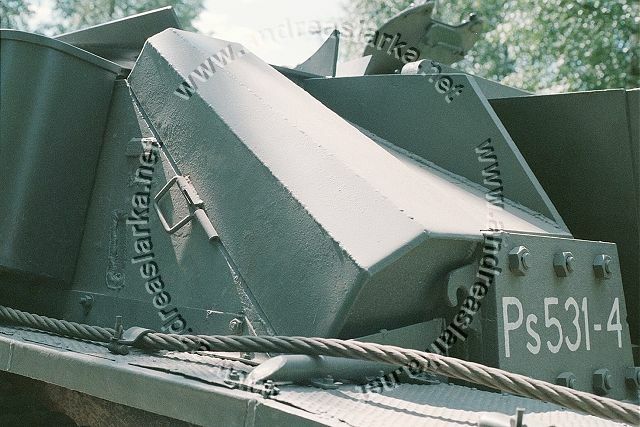 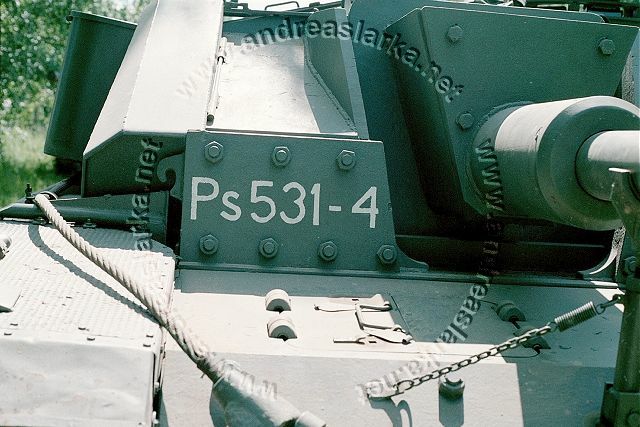 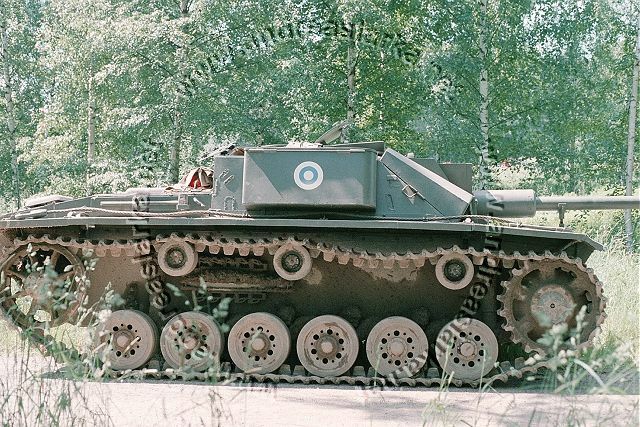 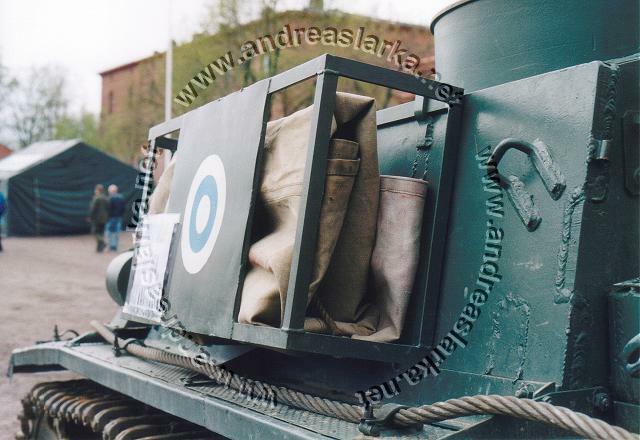 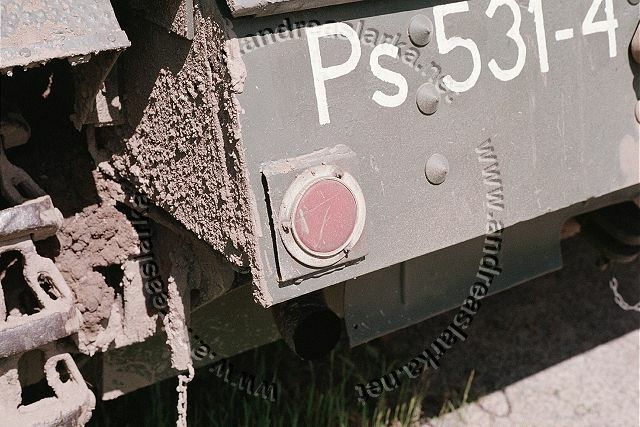 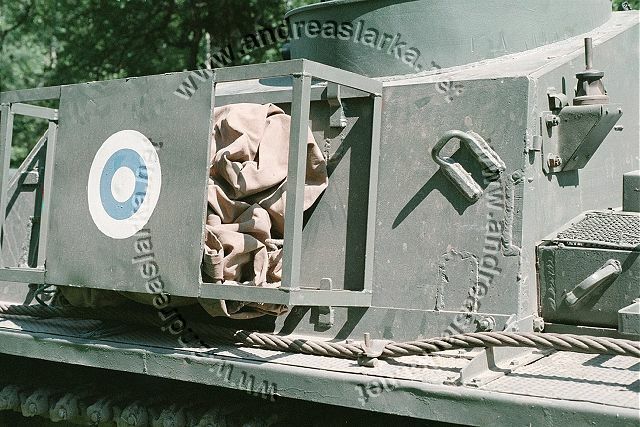 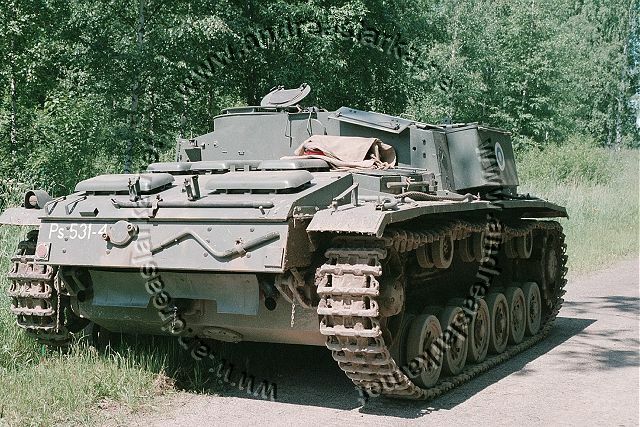 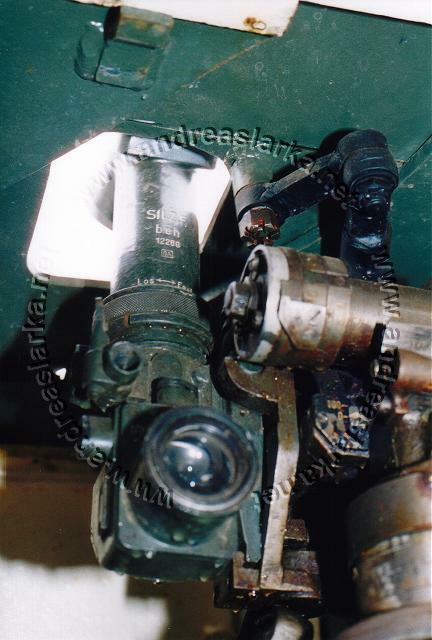 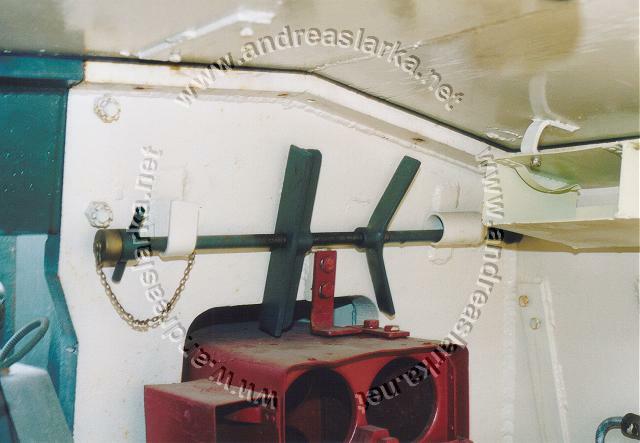 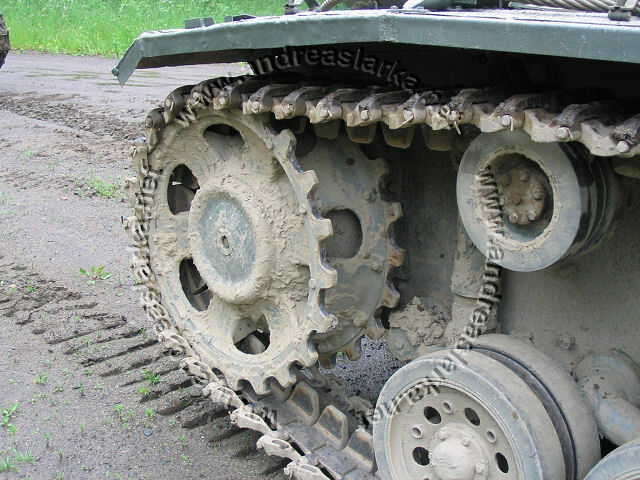 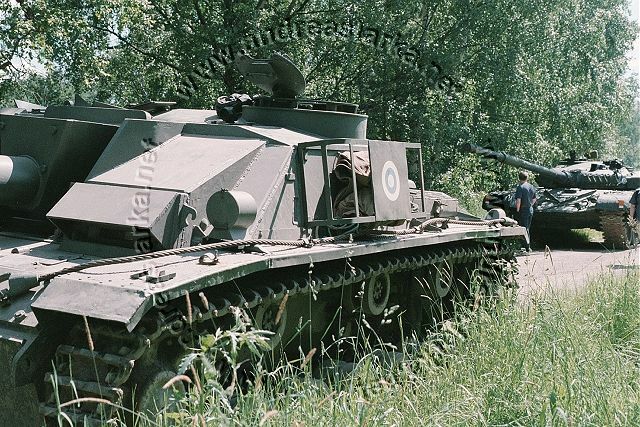 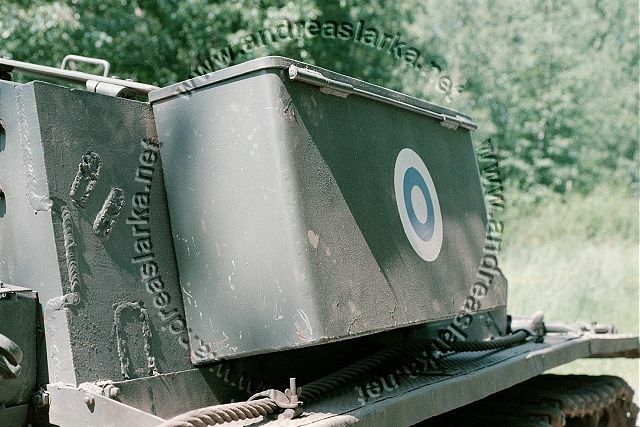 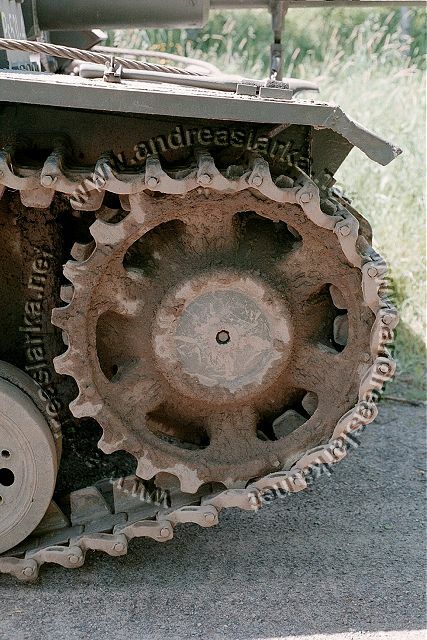 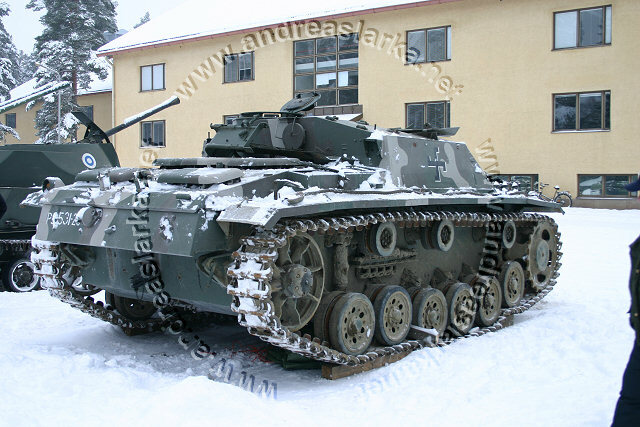 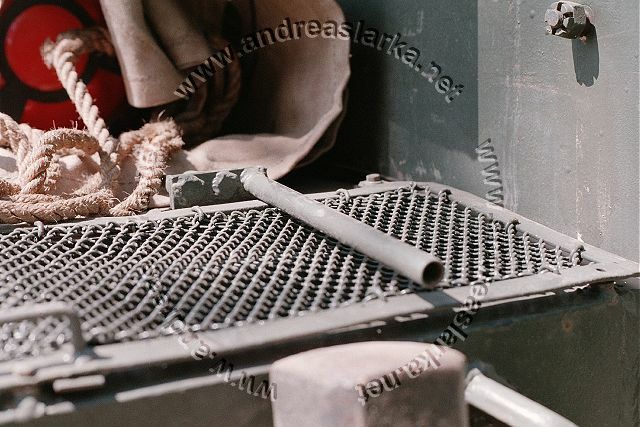 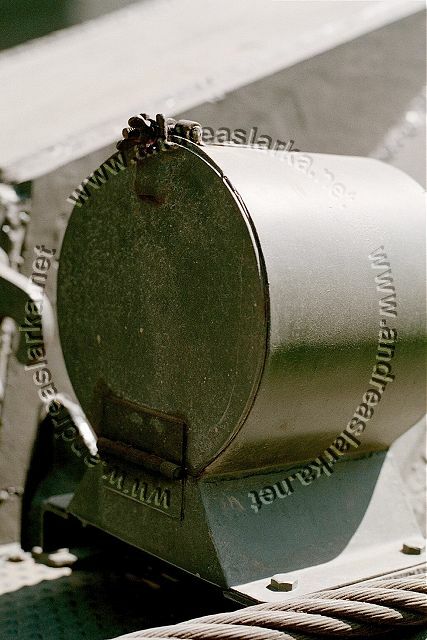 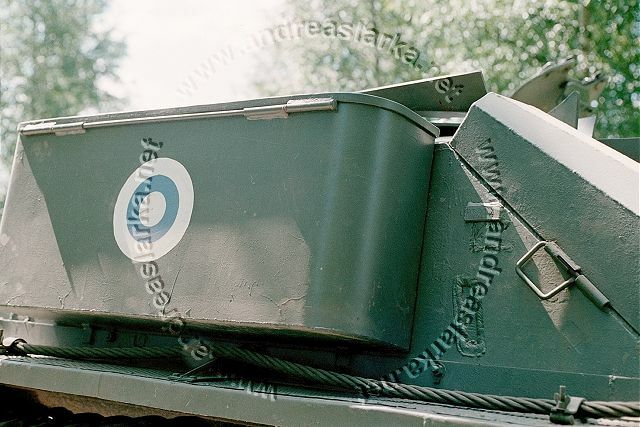 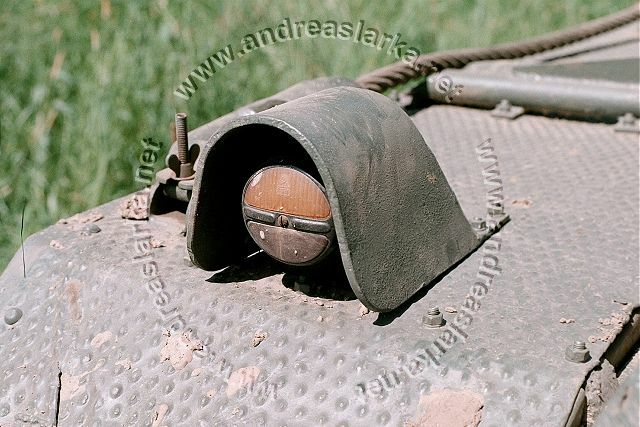 These pictures are taken outside the Finnish Armoured Brigade in Parola, Finland in the summer of 2004. 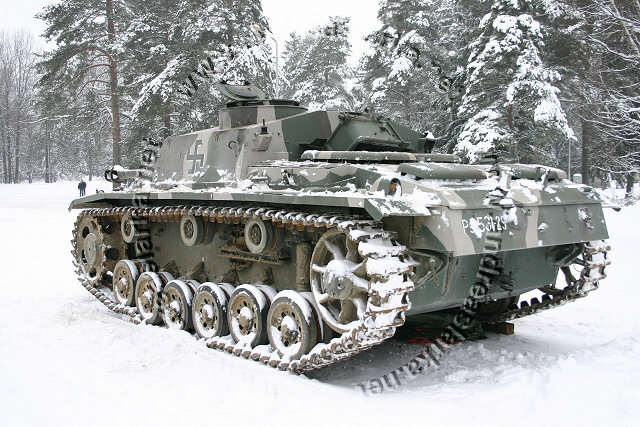 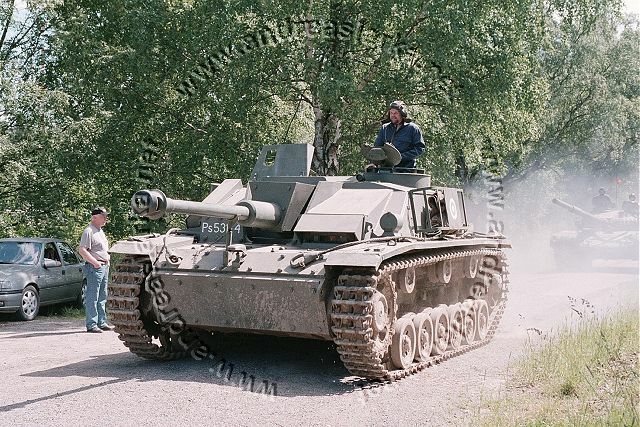 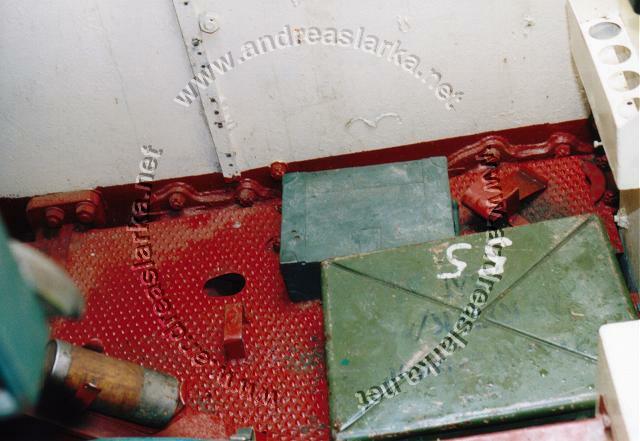 These following pictures are also taken outside the Finnish Armoured Brigade in Parola, Finland, and at the Sotapojan taivas festival in Hämeenlinna, Finland in 2003.